(Chris Detrick | The Salt Lake Tribune) Jon M. Huntsman, Jr., U.S. 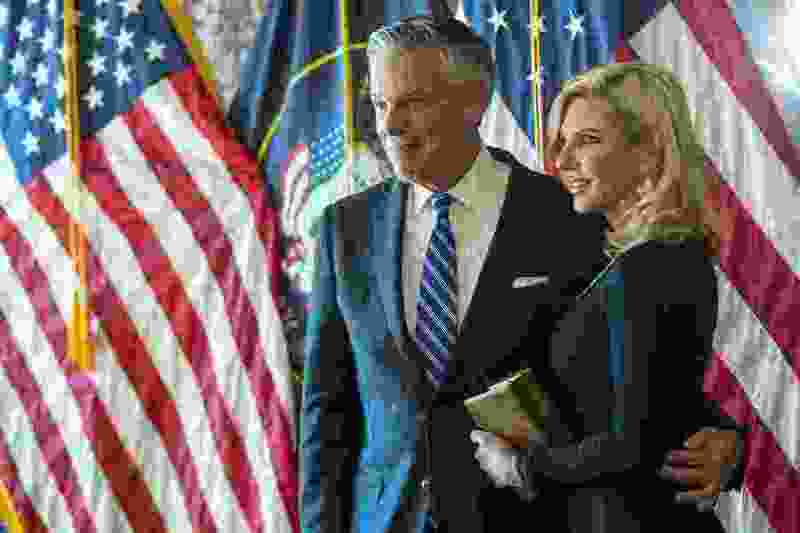 Ambassador to Russia, and his wife Mary Kaye Huntsman during an Ambassadorial Swearing in Ceremony at the Utah Capitol Saturday, October 7, 2017. Some news outlets have speculated that Huntsman, a former Utah governor who did not back Trump in the election but took a highly visible ambassadorship, could be the anonymous “senior official” behind the explosive op-ed published Wednesday. Huntsman strongly pushed back on that idea. Among those denying authorship were Attorney General Jeff Sessions, Treasury Secretary Steve Mnuchin and Director of National Intelligence Dan Coats, along with other Cabinet officials and senior aides to the president. Trump’s White House scolded The Times for publishing the op-ed and charged it was another attempt by the “liberal media” to smear the president. Rep. Chris Stewart, a Utah Republican and member of the House Intelligence Committee, blasted the author for hiding behind anonymity and working against a president he serves. The op-ed came just a day after details from Pulitzer Prize-winning political reporter Bob Woodward’s new book, “Fear,” were published by The Times and The Washington Post among others. The new tome paints the White House as “crazytown” and quotes senior officials making derogatory remarks about Trump behind his back. It also described acts of defiance against the president: reporting that former top economic adviser Gary Cohn stole papers off the president’s desk to keep him from withdrawing from international trade agreements and that Defense Secretary Jim Mattis unilaterally rejected Trump’s directive to assassinate Syrian President Bashar al-Assad after that dictator’s chemical attack on civilians last year. Trump, who considers loyalty a must for people who work for him, was “volcanic” with anger and “absolutely livid,” The Post reported. “It’s like the horror movies when everyone realizes the call is coming from inside the house,” one former White House official in close contact with former co-workers told The Post. The right-leaning National Review was first to speculate Huntsman was behind the op-ed, noting the opinion piece heralds the late Sen. John McCain, whom Huntsman considered a mentor, and also for language talking about U.S.-Russian relations. Huntsman has served every president since Ronald Reagan in positions ranging from a staff assistant in the White House to U.S. ambassador to China under President Barack Obama. Editor’s note • Paul Huntsman, a brother of Ambassador Huntsman, is the publisher and owner of The Salt Lake Tribune.